Everything you need to know about Tracklistings : rules, announcements, practical information, ... If you have questions about or suggestions for the forum, post it here. Do you need the name of a certain track you heard ? Post your sample here and we will help finding it. 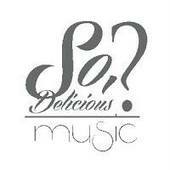 ANTOINE LUCAS - SO, DELICIOUS? GOLD NITE RECORDS is an indipendent digital label whose owners are Italian producers THE ROX and RICKTRONIK. The label will provide a huge spotlight for new talents and well known artists from all over the world. GOLD NITE's releases will feature differents and originals sounds alongside catchy graphic designs with the intent to become a tastemaker label for the electronic music scene. Our constant dedication and painstaking care of the quality of the products that our label suggests, are the hinge point for the realization of a project that wants to bring to the light new music and new artists on the current panorama. UK record label founded by Sharooz. DJ support from: Soulwax, Steve Aoki, A-Trak, Afrojack, Laidback Luke, Dada Life, Digitalism, Gesaffelstein, Brodinski, Aeroplane, Bart B More, Photek, Fake Blood, MSTRKRFT, Breakbot, Moguai, The Magician, Treasure Fingers, Zombie Nation, Mylo, Jacques Lu Cont, Riton, Mason, Villa, Sharooz, Phonat, Lifelike, Mustard Pimp, Beataucue, Worthy, TWR72, Cagedbaby, NT89, Acid Jacks, BBC Radio 1, BBC 1 Xtra and many more..
Mako Records is a record label created by well known Russian producer The Proxy. The label shows ambition and dedication to make new and upcoming artists from the electronic scene shine worldwide. Mille Feuilles Records - Paris - France. Secure Recordings is the latest weapons act of Dutchproduction mastermind Bart B More in his fight formore dopeness on the dancefloor. Secure Recordings is always looking out for the next cool tracks so please send your music to music@secure-recordings.com. Dimitri Vegas & Like Mike's very own imprint... ready & set for a smashin' relaunch in 2011... Stay tuned!!! Spinnin' Records is an independent dance label which arised in 1999. Specializing in releasing high quality dance music Spinnin' slowly evolved into one of Holland's strongest dance labels. Currently Spinnin' is hosting 12 sub-labels all with a focus in the underground scene. Our artist roster includes the likes of Sander van Doorn, 4 Strings, BeatFreakz, Ron van den Beuken and Marcus Schossow to name a few. TOCADISCO's record label for electronic dance music. Turbo Recordings was founded by Tiga in Montreal back in 1998. Twin Turbo is the sub-label of Turbo launched in 2011. French label, founded in 2009 by Michel Amato aka The Hacker and Alexandre Reynaud. Parties all around the globe. Parties all around the globe which will be live broadcasted.